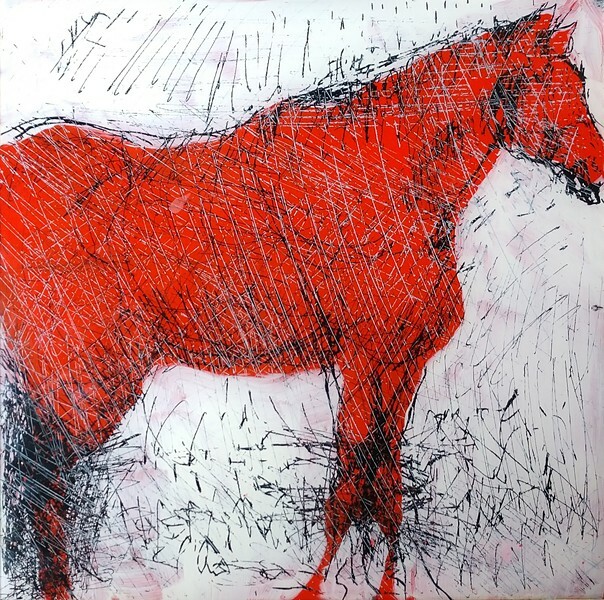 Helen works in mixed media, primarily charcoal and acrylics, sometimes adding collage elements. Coming from a deep love for animals and an ongoing concern for the environment/wildlife, much of her work highlights animals. Helen is interested in the role played by the unconscious in her work, and she strives to not force the content, but rather to let it emerge out of the process of painting itself.